Cooking Oils and Uses: Are You Aware Of The Hidden Dangers? The subject of cooking oils has become the hot topic of the day. 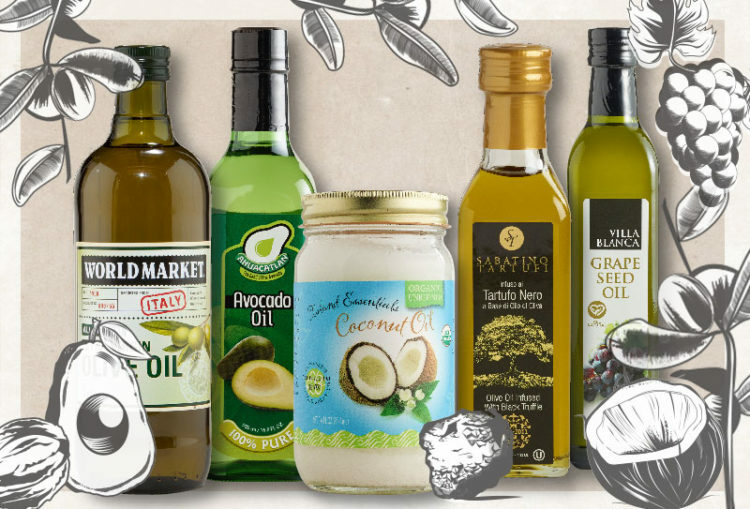 Most people are unaware of the best healthy cooking oils and the best applications for their use. Because of the hidden dangers that can arise due to improper usage and application, I embarked on a personal study of the subject to reduce the risks to my own health and well being. Following are some of the most popular oils. These are the oils I will use going forward, and the applications for which I will use them. Also below, of special note, the number one oil I will avoid at all cost because of the overall negative health affects. Unlike most olive oils, this oil is untouched by chemicals or heat and contains more natural vitamins and minerals. Overall, this is the best oil for health and well being as it contains minerals and vitamins that are beneficial to your body. However, EVOO has a very low smoke point, (320°) which makes it very unsuitable for cooking. Once an oil begins to smoke it releases toxic fumes and free radicals, both of which are extremely harmful to your health. Try to stick with eating extra virgin olive oils as a dipping sauce or dressing. I enjoy using as an ingredient in salad dressings with either lemon juice or Apple Cider Vinegar. You can find my favorite vinaigrette recipe here. Avocado oil is one of my favorite oils. It is incredibly versatile and imparts a slight delicious flavor. Unlike other oils that are pressed from a seed, avocado oil is made from the flesh of the avocado. This is a heart-healthy oil that has anti-inflammatory properties which help prevent heart disease, and blood pressure. Avocado oil can be used for most anything because of its high smoke point, which is 520°, and it’s delicious taste. This has become my go-to favorite oil for all cooking. Loaded with antioxidants, Sesame Oil is known to reduce blood pressure, blood sugar and improve your skin. The taste of sesame oil is very distinctive and will add a nutty flavor to any dish. It also provides 17% of the recommended daily value of vitamin K which provides bone support and prevents your blood from clotting. Conventional sesame oil has a high smoke point (410°) making it suitable for most cooking applications. Cold-pressed sesame oil has a great flavor and is perfect for use in vinaigrette’s, dressings, and marinades. Toasted sesame oil brings some strong nutty flavors to Asian dishes like stir-fries and dips. Sunflower seed oil is impressive with it’s ability improve heart health, help fight cancer, lower bad cholesterol and boost energy. This is one oil to keep on hand. Semirefined Sunflower Oil has a high smoke point (450°) and is great for searing chicken, fish or tofu. I like to keep my pantry stocked with EVOO, Avocado, and a small bottle of Sesame Oil as these usually serves all of my culinary purposes. I have intentionally ommited Coconut Oil from this list. In today’s ever-changing world, Coconut Oil has become all the rage and largely tooted for it’s amazing health benefits. However, in a recent paper written by *Walter C. Willett, M.D ., it is suggested, that until further studies on the subject of Coconut Oil are conducted, we use it sparingly. It has also been noted by some that Coconut oil contains hydrogenated oils, which are not good for your health. I don’t know about you but due to the GMO content and the Hexane chemical, I will avoid Canola oil at all costs. * Willett, W. C. M.D. Harvard School of Public Health.